Clifford Leon Smith was born 29 September 1928 in Johannesburg, South Africa to Magdalene du Preez and Henry Gesant Jacobs. As a baby he suffered from polio and did not walk until he was four years old. As a young man he was a talented sprinter, played soccer, tennis and golf. He was a member of the Red Cross and a keen scholar who was accused of being lazy when he wanted to continue his education after completing standard eight. His membership to the Red Cross would ultimately inspire him to pursue a career as a medical doctor. Through the sacrifice and efforts of his family, Clifford Leon Smith began his long and arduous journey in completing a Bachelor of Medicine and Surgery. Overcoming adversity under an apartheid government, he completed his first year at the University of Fort Hare before being allowed to transfer to the University of the Witwatersrand (Wits). During this time of enforced racial, social, and economic segregation where laws were enacted which defined a person's race, where they could live and spend their free time, how and where they could travel and work, and crucially limited by a separate inferior system of education for Blacks – Clifford Leon Smith was the first coloured doctor to graduate at Wits University from the then Transvaal province. 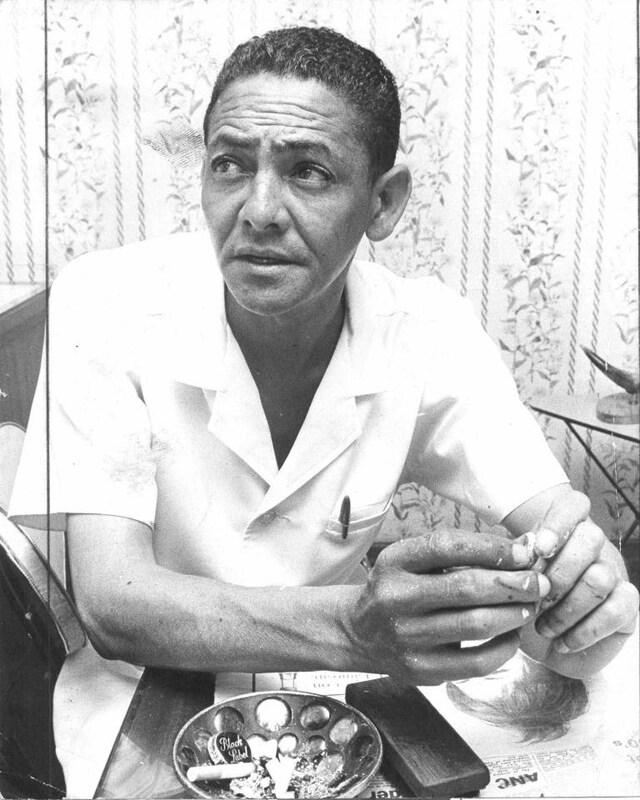 Dr. Clifford Leon Smith would later become the first non-white Assistant District Surgeon in Johannesburg. Dr. Smith’s professional life was dedicated to serving the health care needs of others and specialized as a Paediatrician, General Practitioner and District Surgeon. In a career spanning 48 years, he worked at the Donald Fraser Hospital in Sibasa, Limpopo; Northdale Hospital in Pietermaritzburg; various hospitals across Lesotho as the District Surgeon for the British High Commissioner; and the Chris Hani Baragwanath Hospital in Soweto before opening his own practice in Newclare, Johannesburg. Gifted in diagnosis and treatment, Dr. Smith was also a compassionate doctor. He had strong interpersonal skills and took a special interest in the lives of his patients, empathetic to their plight under an apartheid government. He would later dedicate his life to the upliftment and development of the communities in which he served. Dr. Smith was first elected as a member of the South Western Management Committee of Johannesburg City Council on 29 November 1967 and served as the representative for Coronationville until 25 November 1969. He was re-elected in 1969 and 1971 and served until his resignation in 1972. On 31 October 1984 he was re-elected. On 26 October 1988 he was again re-elected and represented Ward 13 (Coronationville). Dr. Smith served as Chairman of the South Western Management Committee from November 1989 to March 1990. As a member of the South Western Management Committee he served on the Grants-in-Aid Committee. During his term in office he was an active and concerned Councillor who maintained a close relationship with the ratepayers in his ward. On 29 September 1994, Dr. Smith was presented with a Testimonial by the Members of the South Western Management Committee, in recognition of the excellent service rendered by him to the South Western Management Committee and the residents of Johannesburg. Dr. Clifford Leon Smith passed away to cancer on 2 February 2008 and is survived by his 8 children, 23 grand-children and 19 great-grand-children. When you speak to family, past patients and students, or colleagues of Dr. Clifford Leon Smith, you hear about a rare combination of diagnostic genius, compassion, and strength. His dedication to his family, patients and community was tireless and unequivocal. This personal strength of will is the legacy, and the ongoing aspirations of the Dr. CL Smith Foundation.